You would go into the Themes section of WordPress and upload the ZIP file you downloaded for the theme. From there, you can use all of its features to build out your website using the backend controls. If you are a good front-end developer, you can choose to buy a Photoshop (Sketch or Adobe XD) template. There isn’t any code behind these at all — so if you’re not a developer, be careful. They are merely layered image files you can manipulate and code out yourself. A lot of non-developers choose this option if they find something they like but initially want to make tweaks to it. They then pass it off to a developer to put the actual code behind it. At its core, HTML templates are just the base-level code. They are designs that are coded out by a developer, but they are not wired up to any type of content management system (like WordPress). 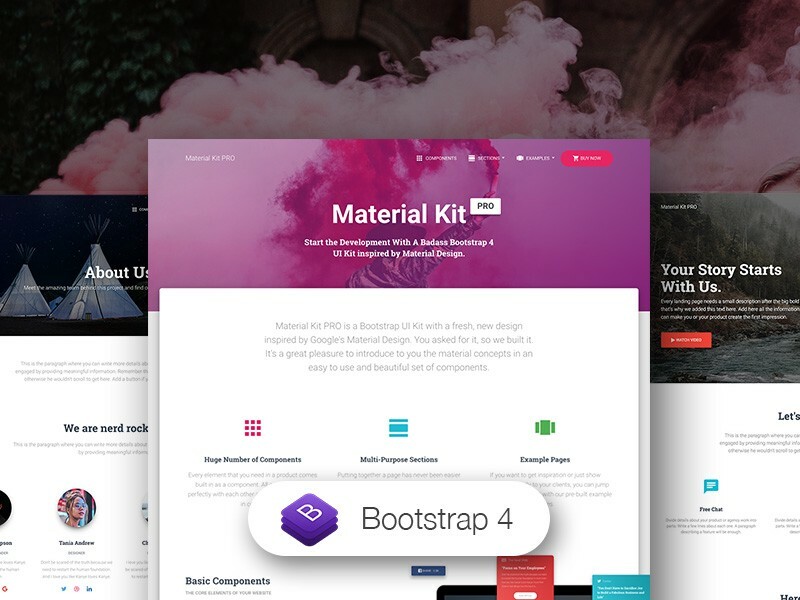 The types of people who would buy these types of templates are those who would want to build out a custom application and therefore don’t need CMS support. Also, for those entrepreneurs who want to dabble in HTML/CSS code to build themselves a simple website, this would also be an excellent option to explore around some. If you like Google’s Material Design, you will love this kit! It features a huge number of components built to fit together and look amazing. Material Kit PRO features over 1000 individual components, giving you the freedom of choosing and combining. This means that there are thousands of possible combinations. All components can take variations in color, that you can easily modify using SASS files. Avada has been the #1 selling theme for more than 4 years, making it the most trusted and complete WordPress theme on the market. 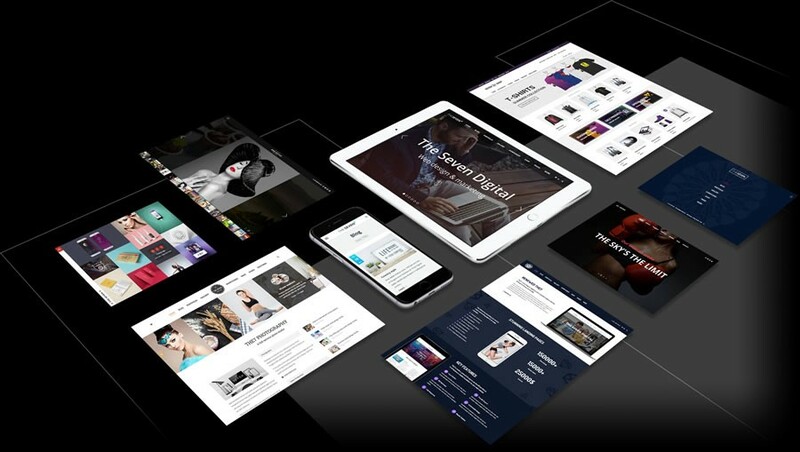 Powerful options & tools, unlimited designs, responsive framework and amazing support, are the reasons our customers have fallen in love. They are dedicated to providing you with the best experience possible. 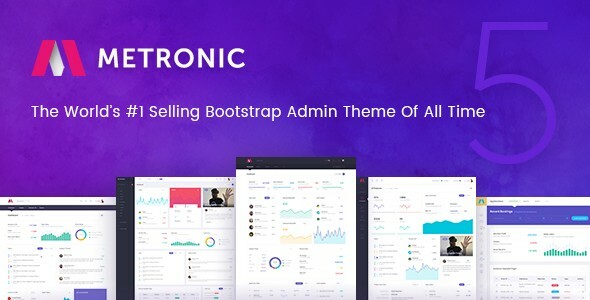 Metronic is an admin template, this kind of templates are used when you are developing a new website or app from scratch. It is done in pure HTML, this means that there are only the body and the look, the brain is not there. Now, when you sign in to your WordPress admin, it is already an admin interface(same as metronic) but with a brain. You can manage your website from the wp-admin interface. You can compare metronic to a car bodywork. There is no engine and other things that will make it a functional car, you have to build it. Templates like Metronic are handy in a way that you don’t have to pay a great designer. You already have the design(that will probably cost you over $1000 to get that level of design whereas the template costs almost nothing), now just get a developer to build your app or website in it. They have 750+ Theme Options, and that means it’s super customizable. It gives you the power to customize even tiniest details of your website appearance! 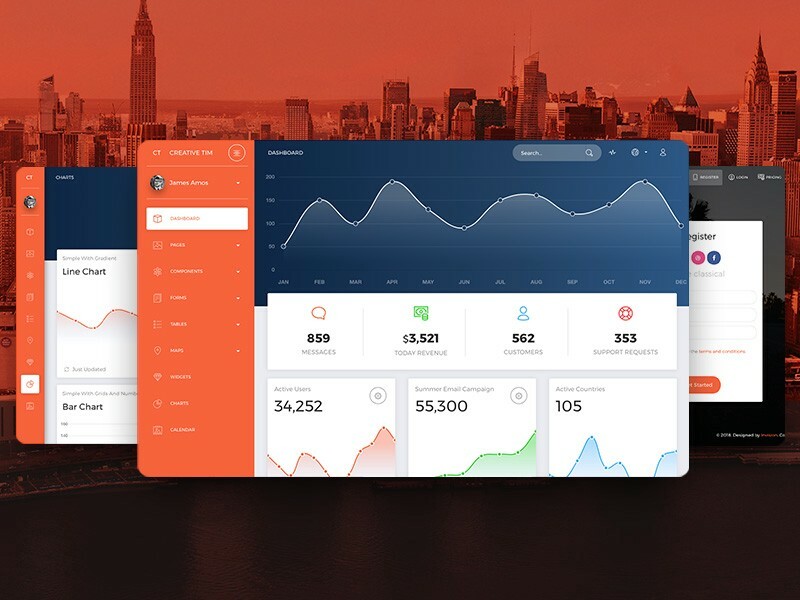 Now UI Dashboard PRO is a beautiful Bootstrap 4 admin dashboard with a large number of components, designed to look beautiful, clean and organized. If you are looking for a tool to manage and visualize data about your business, this dashboard is the thing for you. It combines colors that are easy on the eye, spacious cards, beautiful typography, and graphics. Now UI Dashboard PRO comes packed with all plugins that you might need inside a project and documentation on how to get started. It is light and easy to use, and also very powerful. I’m lucky when finding this article. I need it in my presentation.